The right to possess, occupy, use and enjoy the land and waters to the exclusion of all others. The right to use and enjoy flowing and subterranean waters. In June 1996 Karajarri Elders filed an application before the Federal Court of Australia seeking recognition of their Native Title rights. 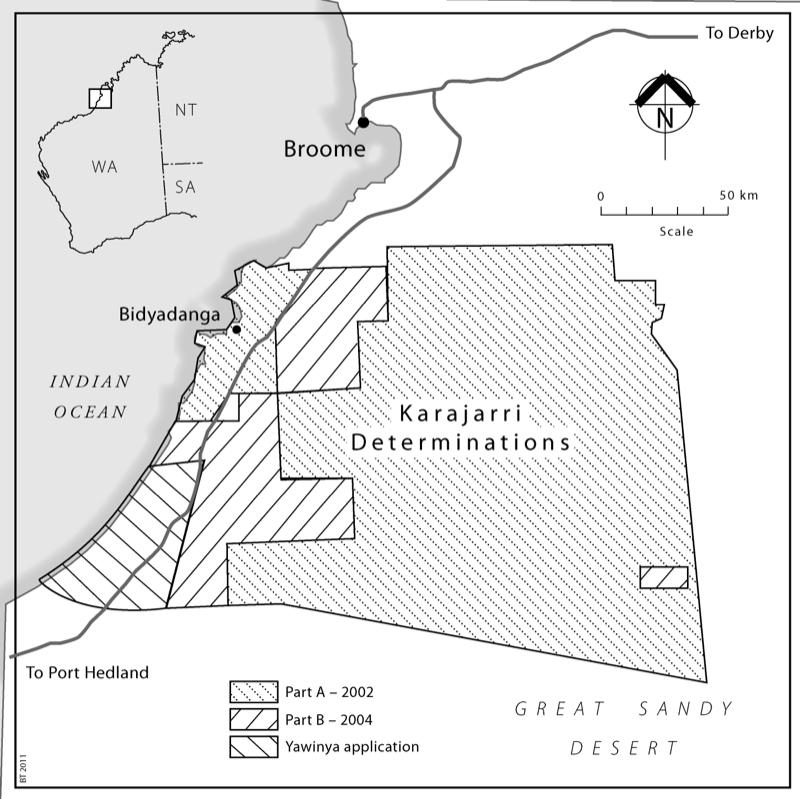 The Karajarri ‘A’ Native Title claim was determined in February 2002, granting the Karajarri people exclusive possession over 24,725 square kilometres of their lands. Essentially, this covered Kuwiyimpirna/Frazier Downs Station and Unallocated Crown Lands (UCL), with especially large areas on the eastern or desert side. 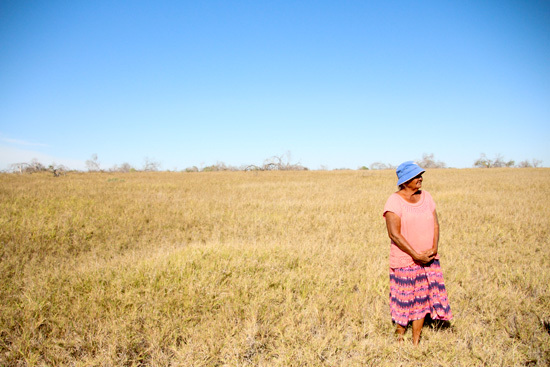 In September 2004, Karajarri people were recognised as the Traditional Owners of an additional 5,647 square kilometresof land, mostly pastoral leases, known as “Area B”. This included the whole of Nita Downs and Shamrock [now Munro Springs] Stations, the extreme north and east of Anna Plains Station and the northern (post 1994) portion of Dragon Tree Soak Nature Reserve.The non-exclusive Native Title rights granted in 2004 include the right to enter and remain on land, camp, take flora and fauna, access natural resources and water, engage in rituals and ceremony as well as maintain and protect sites of significance (Edgar, 2011, p.59). In 2012, further Karajarri rights were recognised –jointly with Nyungumarta people -over Anna Plains and Mandora Stations, and ILUAs were signed with both pastoral leases. An additional area in the far north of Karajarri country, straddling the Broome-Dampier Downs access track, is currently under claim.